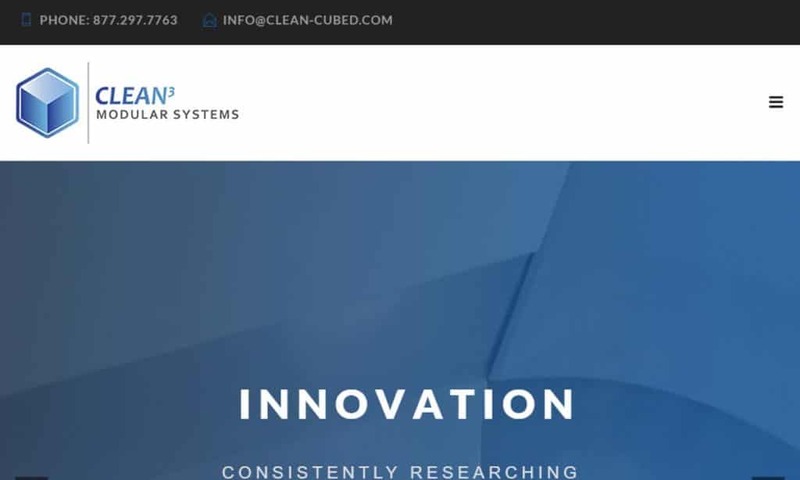 A reliable source for Clean Rooms information and a resource for accessing leading Clean Rooms and suppliers. Clean rooms are enclosed spaces inside which the level of contamination and pollutants like chemical vapors, dust and airborne microbes are reduced and controlled. Cleanrooms also control a wide range of environmental aspects and atmospheric conditions, such as air pressure, humidity, moisture and temperature. The goal of clean rooms is to provide a space in which users can build critical components and test products for performance, durability, etc. without having to worry about contamination. Clean rooms also allow users to simulate the environment or environments in which an item will be used. Aerospace engineers, for example, can have a clean room built that simulates the air pressure, temperatures, gravity levels, etc. that will be present in the environment an aircraft or spacecraft will operate. Inside this control environment, testing is much more efficient and results are much more accurate. Clean Rooms Clean rooms are enclosed spaces inside which the level of contamination and pollutants like chemical vapors, dust and airborne microbes are reduced and controlled. Cleanrooms also control a wide range of environmental aspects and atmospheric conditions, such as air pressure, humidity, moisture and temperature. 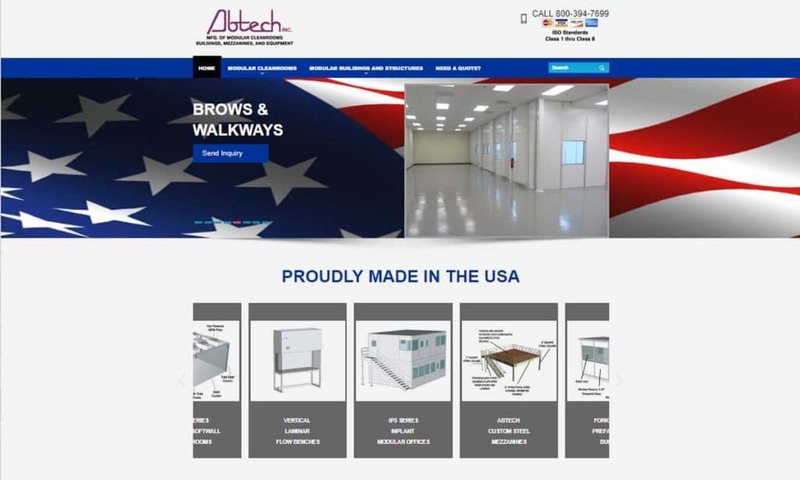 Abtech specializes in manufacturing clean rooms. Our product line includes laminar flow benches, air showers and much more. For the very best of clean rooms, look no further than Clean Rooms International! We can provide the ultimate in quality, customer service, durability, and unique designs just for you! We offer support for our products after installation and stock a variety of repair parts so you can fix your issue and get back to work fast! Our clean rooms won’t let you down! Our CLEAN³ Modular Systems are customizable to meet any project requirement. Further, we are committed to the continual improvement of our systems in order to stay on edge in today’s market. 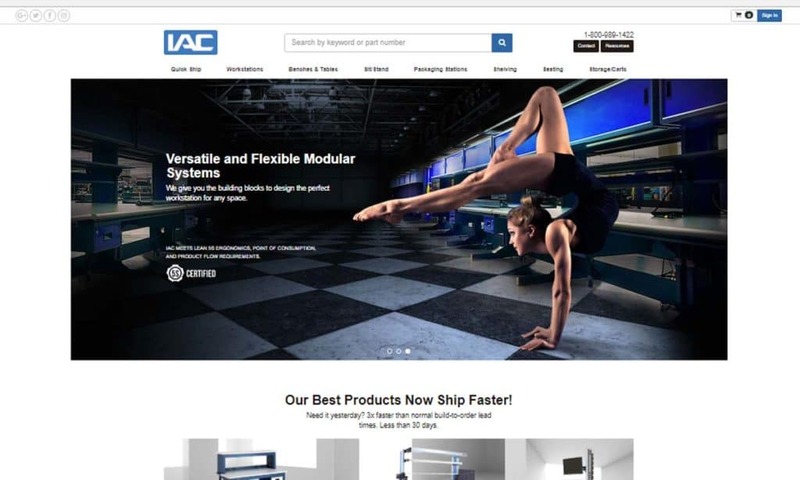 Here at IAC Industries our clean rooms meets class A specifications and we offer an assortment of inspections and written procedures for every operation to assure the highest quality of standards are met for every facet of manufacturing. 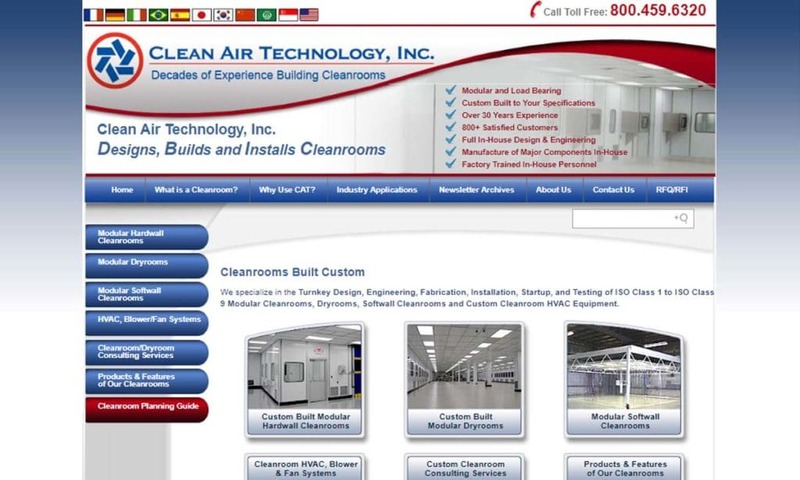 Technical Air Products is a leading manufacturer of modular clean rooms. Our LogiClean® soft wall and rigid wall clean rooms are cost-effective alternatives to hard wall, or stick-built clean rooms. 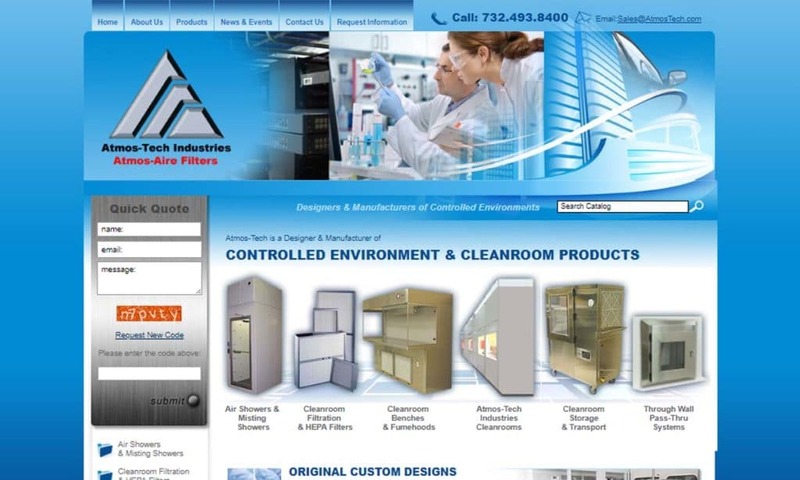 Atmos-Tech Industries is a designer and manufacturer of cleanrooms and equipment for industries, including health care, pharmaceutical aerospace and automotive. Our design staff is qualified with over 30 years of clean room experience. Our clean rooms are made from the highest quality materials and use a modular design that can be modified to suit any needs. Cleanroom technology is a fairly recent invention; the first cleanroom was designed by American physicist Willis Whitfield, in 1960, per the request of his employer, Sandia National Laboratories. Sandia was seeking to find a way subvert airborne contamination, particularly in the aerospace, biotechnology, microtechnology and medical industries. Leading up to this invention, workers in those industries working with small and sensitive devices had begun to find airborne contaminants, like dust, to be increasingly disruptive. While clean room-type spaces were available before Whitman’s cleanroom, they were unreliable, had unpredictable airflow, and were largely unable to sufficiently stop air contamination. Whitman’s cleanroom design ushered in a new age, allowing workers to consistently remove impurities with highly filtered air and otherwise strictly control their environment in which they worked. Today, clean room manufacturing is essential to the production of items from cell phones to spacecrafts. Softwall cleanrooms are cleanrooms with fabric walls. These fabric walls may either be made from free-hanging plastic strips or fabric stretched tightly over a frame. To divide a softwall cleanroom, manufacturers include curtain dividers. These dividers must be made from a non-corrosive, non-fibrous material that does not generate static electricity, such as vinyl. Softwall cleanrooms are highly portable, and may be designed modularly more efficient assembly and disassembly. Softwall cleanrooms work well with applications that do not require extreme amounts of decontamination or the most strictly controlled environment. They can be used for more rigorous applications, but only with the assistance of supplementary cleanroom equipment, like air filters. 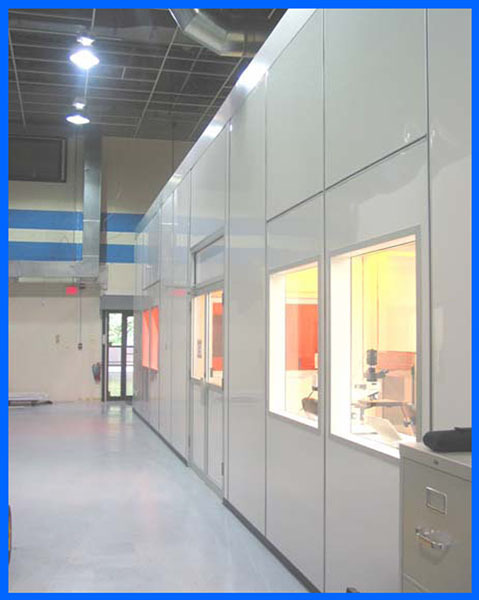 Hardwall cleanrooms have a strong support frame and panels. They are made from rigid materials, such as stainless steel, welded steel, acrylic, tempered glass, PVC, etc. They are more permanent than soft wall clean rooms. They too, though, are often made with modular construction. They offer excellent environmental and contamination control. A modular clean room is a cleanroom with factory pre-cut components that is assembled on site. Modular cleanrooms can quickly and easily be disassembled and reassembled for application changes. Modular design is valued for its low-cost materials, basic construction and overall versatility. Clean labs are used in laboratories for medical or pharmaceutical research. They do not necessarily require FDA validation, though clean rooms designed to produce medical and pharmaceutical products do. They may be stationary or mobile. The levels of contamination control, sterility and environmental control they require depends on if they contain biohazards or potentially explosive, flammable or corrosive materials. Positive air pressure clean rooms are clean rooms in which more filtered air is pumped into them than exists in the space outside of them. They seek to keep contaminated air out of the room. Positive air pressure cleanrooms are only used for applications that do not involve hazardous substances. This is because, during the operation of positive air pressure cleanrooms, some air will escape from the walls, ceiling or doors. Negative air pressure cleanrooms use negative pressure to remove contaminated air from the room. Once the air is evacuated, it must be replaced with clean air. The source of this air is either the evacuated air, which has been run through filters, or fresh filtered air. Negative air pressure cleanrooms are required for cleanroom applications that involve hazardous chemicals, whether they be biohazardous or flammable, potentially explosive, etc. Clean rooms generally come with an air quality control system of some type, like air filters, fans, and pumps. 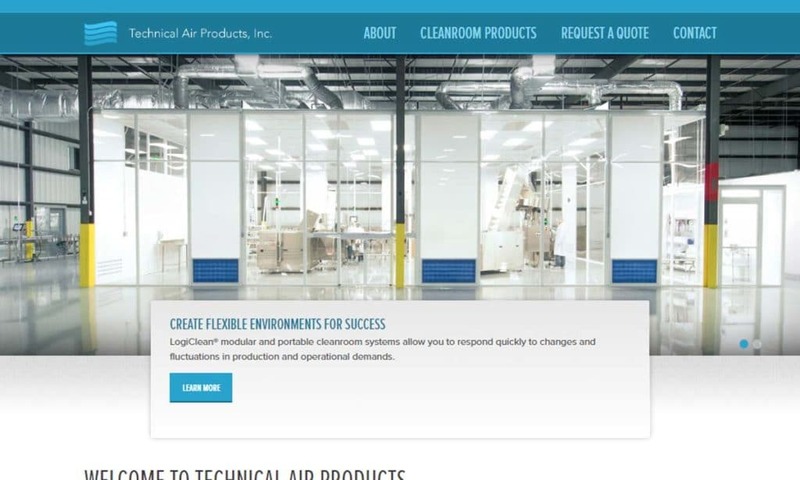 The best kept clean rooms have air flow that is controlled by directional air filters that encourage a laminar air flow; using laminar air flow ensures that new, filtered air continuously cycles into the clean room and removes any lingering contamination. Common and highly effective filters used in cleanrooms include High Efficiency Particulate Air (HEPA) filters and Ultra Low Particulate Air (ULPA) filters. HEPA filters can trap particles sized .3 microns and larger. ULPA filters provide an even more rigorous performance. Inside clean rooms, you may find cleanroom furniture, such as a cleanroom table, cleanroom wall, laminar flow bench or laminar flow hood. Note that, to keep from tracking in particles, operators and other personnel must don proper clean room apparel; humans shed 100,000 particles of dead skin cells per minute just while standing! Apparel to cover up human skin and hair, which is around 100 micrometers wide, includes shoe covers, beard covers, bouffant caps and face masks, as well as accessories like approved cleaning wipes. In addition, these efforts may be amplified by the use of air showers, which are small rooms in which personnel step to rinse off prior to entering a clean room. Cleanrooms are fantastic, and there are a number of reasons to choose them for your application. First, with impurities gone, your system or the product you’re working is far less likely to malfunction or break down. Second, you can work on, study or use far more sensitive materials or technology than you could without a cleanroom. This is because, without a cleanroom, those items would be compromised and your work would be rendered inaccurate, unsafe or inefficient. By using a cleanroom, you are also able to cultivate and surround your product with a miniature or even micro environment. For instance, by establishing constant positive pressure within your cleanroom, you can create a clean room environment that contains leaks. Or, by creating a cleanroom environment with constantly low humidity, you can control electrostatic discharge. Finally, thanks to each of the advantages you’re gaining, with a clean room, you’ll also find yourself saving time, money and energy, while gaining a reputation for better work or products. When designing a clean room, manufacturers focus on making sure that it is a space in which the environment is sufficiently controlled and particulates are sufficiently kept out. How they go about that depends on the application and its requirements. For example, clean rooms may be permanently established, or they may have a portable or modular design. Permanent clean rooms and the machines that regulate their conditions are usually incorporated into the structures of the buildings that house them. Sometimes, though, they are enclosed by clear plastic walls or glass instead. Manufacturers also customize their designs by size and material. Cleanrooms may be warehouse-sized, as they often are for microelectronics, circuitry, and pharmaceutical product manufacturing; these are called ballrooms. Alternatively, when built for small-scale medical testing, repairs, or limited, exclusive, or specialized operations, they may be only the size of home kitchen ovens. Selected materials have to meet the strict criteria so that the clean room can be effective. Namely, they cannot contribute to air contamination. Like softwall clean room materials, general cleanroom construction materials must be non-fibrous, non-static electricity-generating and non-corrosive. Even stainless steel is sometimes avoided, because it can corrode when exposed to bleach. Common materials from which clean room components are made include: acrylic (economical, easy to clean, tintable, great tensile strength), static dissipative PVC (protects against electrostatic discharge and particulate contamination), polycarbonate (high tensile strength, shatter resistant, acid resistant, cleaning solution resistant, solvent resistant), tempered glass (clear, broadly chemical resistant, non-porous, easy to clean) and polypropylene (superior chemical and acid resistance). There is no end to the custom cleanroom supplies and accessories that manufacturers may add to your cleanroom system. Examples of these include: electric heaters, smoke detectors, intercoms, door interlocks, central vacuum systems, clean room foggers, ductwork, electrical outlets, process piping, top decks and more. Clean rooms are rated on a scale of anticipated contaminant control. Cleanroom manufacturers may choose to measure and classify them using one of four safety and compliance standards, which are: US FED STD 209E, ISO 14644-1, EMP EU, and BS 5295. 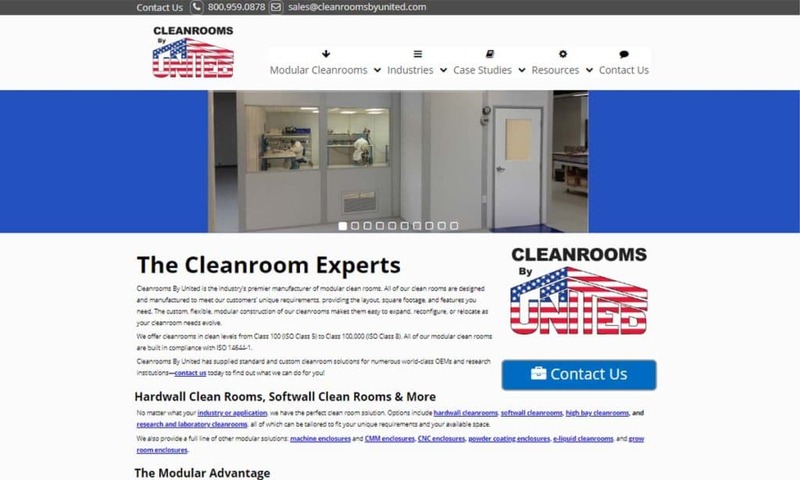 Using US FED STD (federal standards) 209E, cleanrooms are arranged in class numbers that correspond with the amount of .5-plus micrometer-sized particles per cubic foot of air contained in the room. Larger numbers are assigned to clean rooms with a higher number of particles allowed in the air. Manufacturers select clean rooms based on application requirements accordingly. For example, for a process that could cause a chemical reaction or wear on the environment around it, a manufacturer should select a Class 100 clean room, which is made of materials that won’t release fibrous contaminants. For a less sensitive application, such as one that will not break down soft materials like plastics or flexible acrylics, a Class 10,000 clean room, which features soft walls and less strict controls, is an appropriate choice. Particles are measured with the help of a discrete particle counting device. Using International Organization for Standardization (ISO) standards, clean rooms are arranged on a scale from three to eight, with three being the most effective. For reference and comparison, an ISO Class 5 clean room, which permits up to 100,000 particles per cubic meter, is the equivalent of a Class 100 US FED clean room. Some industries do also use EMP EU standards, which are customary in the European Union, as well as BS 5295 standards, which are British cleanroom standards. When this is the case, they measure contaminants by the cubic meter, not cubic foot. In the USA, we most often speak in terms of US FED standards. In addition to those standards by which all clean rooms are defined, your clean room may require additional certification, depending on your application and industry. This is typically the case with the FDA. Many industry cleanroom standard requirements (like medical standards) are covered under ISO and US FED standards. To learn just what you need, consult with your manufacturer, industry leader and/or the appropriate governmental organization. If you’re thinking about a cleanroom or cleanroom product purchase, there are a few things you should consider. First, what is your application? What are your goals? This will inform the features that you look for in a clean room, i.e. modularity, softwall paneling, sprinklers, humidifiers, blowers/fans, windows, etc. This will also inform the level of contamination control and environmental control that you need. Armed with your list of specifications, your next step is to reach out to a quality clean room supplier or manufacturer. Remember that manufacturer is about more than product availability and price; it’s also about customer service. You want a manufacturer you can trust to listen to you and keep your best interests at the forefront of the project. You need a manufacturer who will go the extra mile for you. Find one of these by checking out the many reputable contract manufacturers and suppliers that we list right here on this website.  Here you’ll find company profiles, website links, request for quote links and contact information for some of the top providers in the industry.